At the recent the Pilates Method Alliance conference it was inspiring to see people in their 50s and 60s with lithe, strong bodies – many stronger than people half their age. Yup takes work. And it’s worth the reward to live in such a body. I started doing Pilates in my 40s. Ten + years later I am stronger and fitter. You can be too. and swim for gold at the National Senior Olympics. You’ll see a 100-year-old tennis champion, 86-year-old pole vaulter, and rough-and-tumble basketball grandmothers as they triumph over the limitations of age. But when one character loses a spouse and another is diagnosed with cancer, they’ve got to dig even deeper to make their Olympic dreams come true. The film aired in July on PBS, You can find it on iTunes, and Amazon. 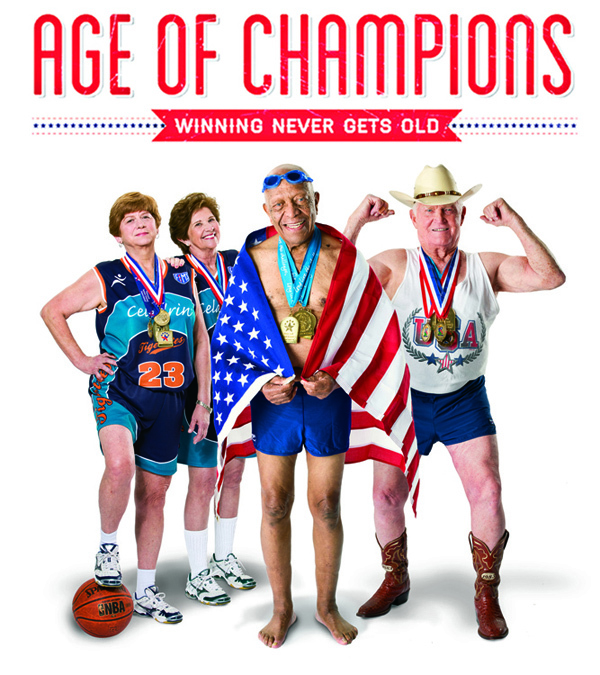 For more inspiration, check out Growing Older is Not for Sissies – an awesome book featuring athletes of all types from swimmers to runners to dancers. This CAN be you. In Pilates we say you’re as young as spine – keep it strong and supple and you’ll love your life and your body for a long time. I love Pilates, taking it, teaching it and continuing to educate myself with as many masters as I can. I also know there is more than one way to do anything. Whether you dance, box, yoga, tai chi, ski or any and all in between – move it and you will be moved. p.s. This is Joseph Pilates at age 57! Looking mighty fine. Legend has it he used to run around New York in his skivvies in winter!